Newton Medical Center offers outpatient services that allow patients to receive infusion therapy or utilize the laboratory without an overnight hospital stay. In addition many therapy services are offered on an outpatient basis such as speech therapy, physical therapy and respiratory therapy. Accredited by The Joint Commission, Newton Medical Center’s clinical laboratory offers a full-range of routine and specialty tests. State-of-the-art analyzers protect every aspect of the testing process and facilitate auto-verification, a process for expediting testing results. Newton Medical Center and MDsave are working together to help local residents without insurance or with high-deductible health plans save money and get more of the medical care they need. Through the MDsave marketplace, patients have access to a wide variety of medical procedures, including laboratory services, at discounted prices. View MDsave’s website for a list of these services. The process is upfront and easy. Just choose the best option, add to your cart and check out online – the price posted is what you pay. The Outpatient Infusion Center is open and staffed 24 hour a day, 7 days a week. 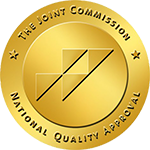 Newton Medical Center has earned The Joint Commission’s Gold Seal of Approval® for Laboratory Services Accreditation by demonstrating continuous compliance with its performance standards. The Gold Seal of Approval® is a symbol of quality that reflects an organization’s commitment to providing safe and effective patient care.